Sometimes misdeeds are huge, indefensible and devastating. Take the ongoing scandal involving Oxfam for instance. It’s big. But slippery slopes lurk everywhere, like alligator eyes floating above the river, waiting to take you down. Misdeeds can begin innocently and maybe they won’t make the front pages, but they will ripple through your water when that gator pulls you under. Melanie was a volunteer coordinator who cared deeply for her volunteers. She personally interviewed each one to get to know them and understand their strengths. She attended birthdays, took volunteers to appointments and helped when volunteers needed assistance. One of her volunteers Dorothy, was a widow, her husband having died a few years before. Melanie invited Dorothy over for dinner a few times a month and introduced her to her husband and children. They welcomed her, making Dorothy an honorary family member. Taking care of Dorothy made Melanie feel really good about her role as a volunteer manager. But one day, Melanie came to work and was called into the CEO’s office. It seems that Dorothy’s daughter, who lived out-of-state, came to visit her mother and went through some of her mother’s finances. She discovered Dorothy had loaned Melanie money to pay for a soccer clinic for the kids. Innocent, right? Melanie was put on probation, paid the money back and more tragically, never recovered her exuberant spirit. She became cautious, bitter, not sure how she could ever be close to her volunteers again. She quit. While we seek to forge deep relationships with our volunteers, we have to keep this in mind: We are the volunteers’ supervisor. Not a peer, not a friend, not a counselor, not a family member, not the fixer of their lives. We are their boss. As their boss, we must define gifts to and from a volunteer. Is a card ok? A cup of tea? Seriously, these items all have a monetary value and defining value helps to create policy and creating specific policies regarding gifts between staff and volunteers will save any misinterpretation down the road. If a volunteer offers money, or a gift card, tickets to an event, a new blouse they bought but don’t like, say no. All of these items are alligator eyes peering at you from beneath the water. They all have monetary value. Instead, ask that volunteer to donate the money or item to the organization in your name and for heaven’s sakes, ask them to write a note accompanying the donation saying how awesome and ethical you are. Some misdeeds will be headline news, will damage a charity’s reputation and set the great work done by so many other dedicated staff and volunteers back by years. That’s a tragedy. These misdeeds may be so egregious that they are obviously wrong to the rest of us, but, then, there are the minor little innocently begun misdeeds that also damage good intent in subtle, but very real and lasting ways. Every day simple mistakes ruin good careers. Be involved with and care about your volunteers, but when it comes to money, Don’t. Do. This. Ever. 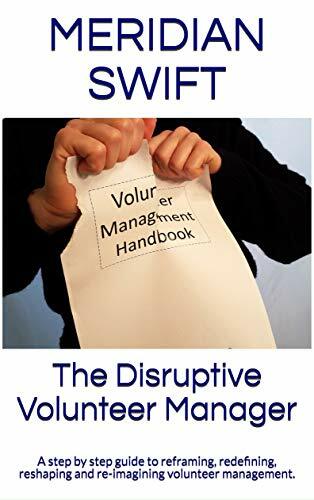 a cautionary tale for all those who manage volunteers – beware taking gifts! Meridian, I’m so glad that you wrote this post. 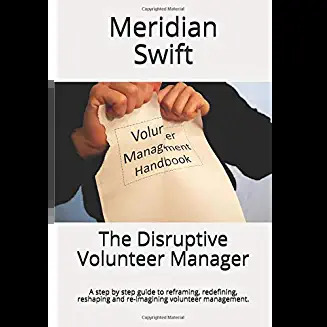 It reminds me of an article that Rick Lynch wrote many years ago about “Why good volunteers go bad.” The article talks about volunteers who become too friendly with clients – their affiliation shifts from the organization to the client. The same can be said for volunteer managers who cross that same line. When the best interests of the organization are sidelined, someone is likely to get disappointed, offended, resentful – or even hurt. Thanks for being so direct in your message to readers! Thanks Elisa, appreciate you weighing in with that excellent point. That is a great way to visualize a boundary-where do your affiliations lie? With the work? With the person? With the bigger picture? With some need within? We have to ask ourselves, what makes us feel “justified” in our actions and what side of the boundary do our actions lie.